Q. How do I log into Wifi? 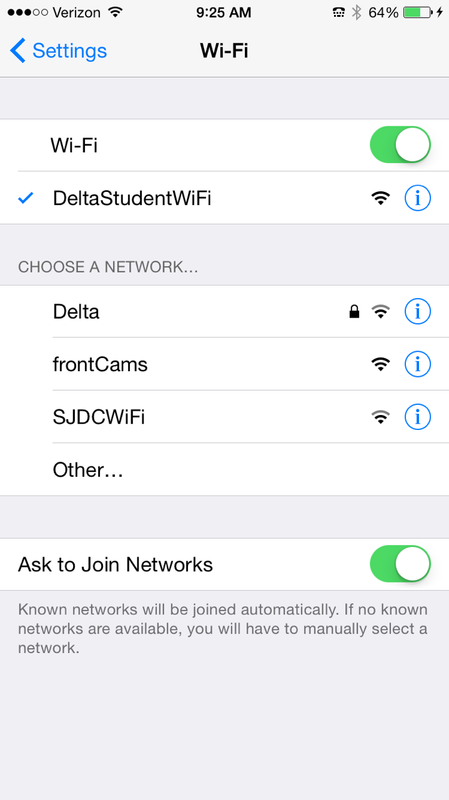 1) Log into Wifi and select "DeltaStudentWifi"
You will know if you are connected if you see bars. 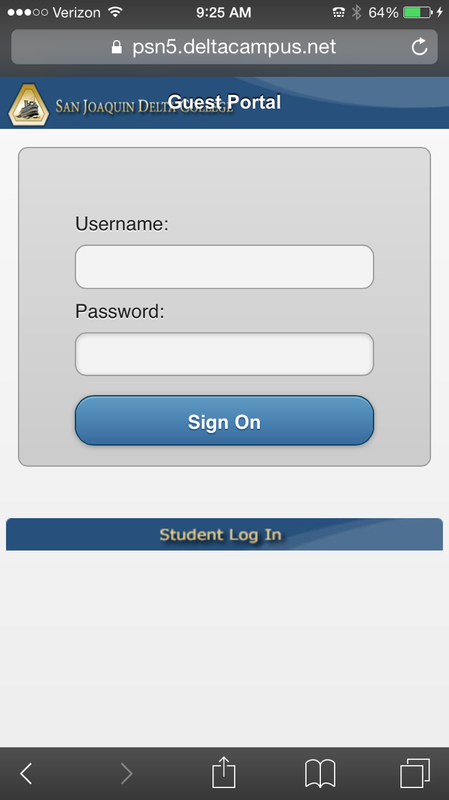 3) You will automatically be directed to the login page. 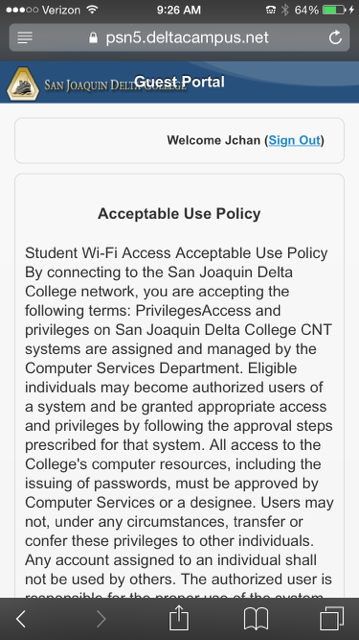 Type in your login in for your delta email WITHOUT the "@deltacollege.edu"
4) Scroll down the Delta use policy and click on the box and push the accept button. 5) Go back to your browser and type into a web address and it should be working now.